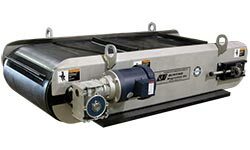 Auto Shredding - Bunting Magnetics Co. 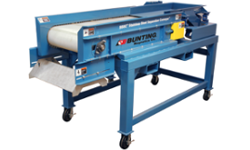 Need help finding the right Bunting® Equipment for your Shredding Applications? Contact us. Separate irregular shaped paramagnetic work-hardened stainless steel – up to 5″ in size – from your recycled materials or in copper wire application. Designed for extreme high gauss fields of magnetic separation of work hardened stainless steels and removal of lightly magnetic tramp metal fines. 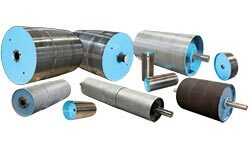 The Eddy Current Separator core is designed to provide a high level of gauss intensity to enhance separation on a wide range of nonferrous conductive materials and sizes. It is protected with the tough urethane belt and a fiber shell. From aluminum cans to aluminum flakes, our ECS units do an excellent job of throw and separation. 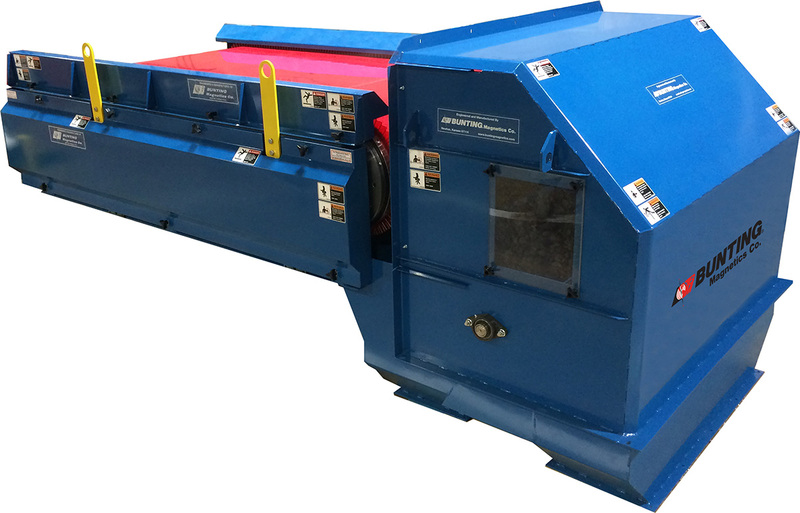 Continuous over-conveyor separation for the recycling industry to remove ferrous materials from non-ferrous materials in plastics, wood, tire, metal and municipal scrap recycling. Offering superior continuous removal and discharging of ferrous contamination like nails, staples, bolts, and wire from conveyors, all with maintenance free operation.